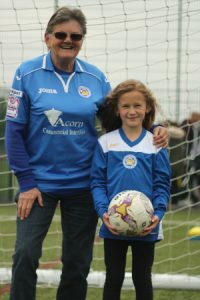 Leicester City Ladies Under 12s went to Skegness Butlins for their end of season tour and competed against teams from around the UK. The standard was high and all six teams in the group were very evenly matched. Leicester City Ladies played five games, winning two and losing three and eventually finished fourth in the group. This tournament was a fantastic learning curve for the girls after such a successful season and it was good for the girls to pit themselves against some other successful teams. Leicester City Ladies more than held their own and should be proud of their efforts. Overall a great weekend was had be all!